Coupon code NMGNUVMQ drops $5.50 off the price! No Water!!! --- Beylife cellphone dry bag pouch, designed for underwater use, swimmers, surfers and scuba divers, certified by IPX8 to keep your phone, cash, card, and carry-on documents dry and clean. No Worry!!! 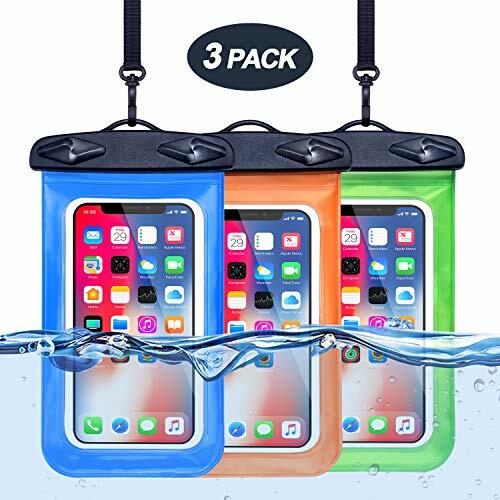 --- Beylife universal waterproof phone case features with the snap clasp and lock seal system that ensures full protection. High quality TPU and ABS materials ensure durable use with scratch resistance and wear resistance. Wonderful Underwater Shooting!!! --- Transparent dry bag on both front and back sides makes it easy to friendly touch screen, perfect for taking pictures, videos and checking emails. Widely Compatible!!! --- Compatible with devices up to 6 inches like iPhone Series: iPhone X/8/8 Plus/7/7 Plus/6S/ 6; Galaxy S8/ S7 Edge/ S6 Edge Plus; Google pixel/pixel plus, etc. But phones with large otter box are not recommended! Top Priority Service Guaranteed!!! ---- Free replacement or full refund from Beylife which ensures long-lasting enjoyment of your purchase. Any questions, please feel free to contact us. Our service team will reply to you offering a satisfying solution within 24 hours.